As daft as it sounds, there are a few occasions where you might find yourself with some unwanted or leftover beer, wondering what you can do with it. Scenario one; you took a punt on a random bottle in the shops, and as hard as you try, after a few sips you decide that you really don't like it. Scenario two; you've had a party and one of your guests arrived with way too many beers than they could handle. Unfortunately the remnants are a cheap brand that really aren't your cup of tea; yes, you'd much rather a cup of tea. Scenario three; perhaps you're not a beer drinker and you've followed a recipe that requires a small amount of beer. With half a bottle left, you don't want to be wasteful and just pour it down the sink! The final scenario - and probably the most likely - you don't believe there's such thing as unwanted or leftover beer, so scrap all of the above statements. You're here because you're looking for a new way to use beer in your cooking... No one can argue with that. 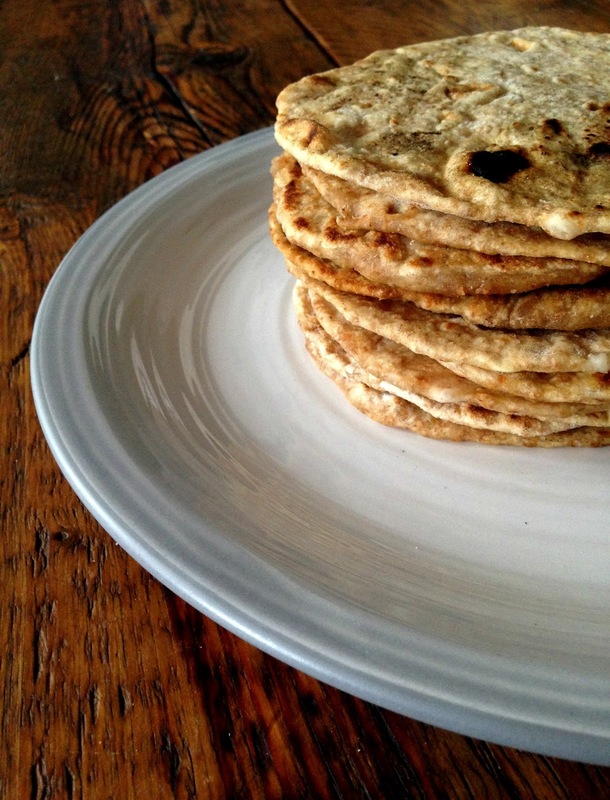 So, Speedy Beer Flatbreads. These really are the easiest things to make, and you can adapt the recipe according to how much beer you have, change the types of flour if you want, or add in some herbs, spices, seeds; whatever you see fit. Ultimately though, all you need is beer, flour, salt, olive oil and a frying pan. 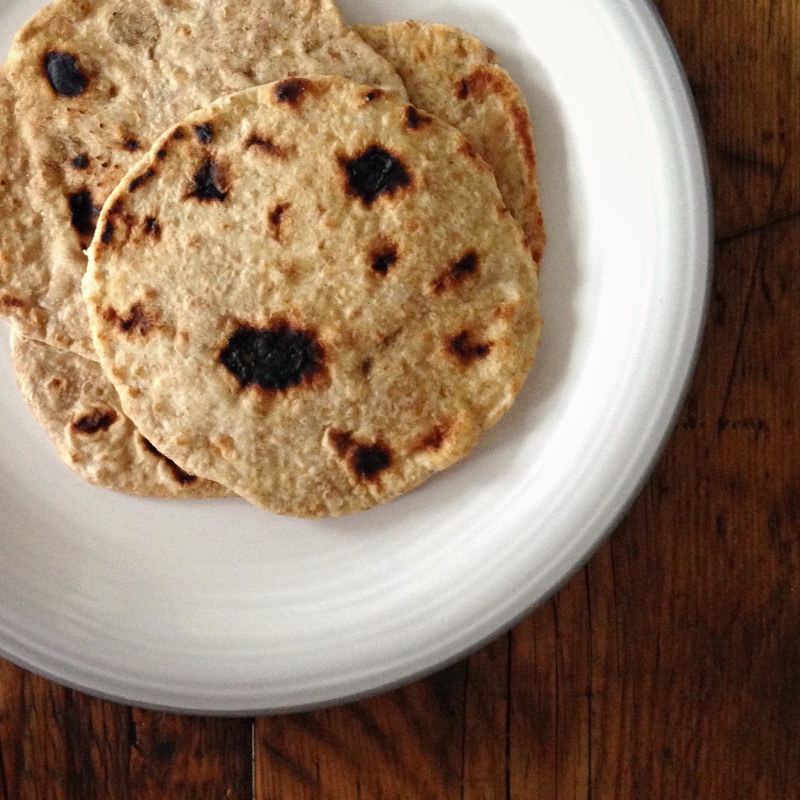 In under 30 minutes you can have a batch of freshly made flatbreads; simples. 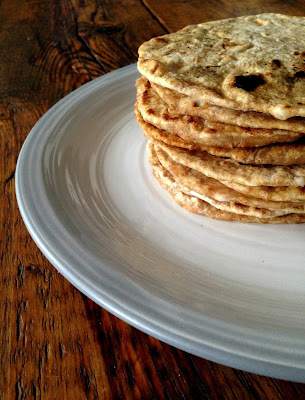 Using beer (any will do) gives the bread an extra depth and a subtle tangy flavour. I have a thing about watching them blister up in the pan - I find it mesmerising - and if you can resist moving them until they've caught slightly, the blackened patches add a great smoky note. Use them to scoop a variety of dips; hummus, salsa, tzatziki, guacamole; you name it. Tear them up and include in a salad; they'd be perfect in a Middle Eastern Fattoush, soaking up all the spiced lemon/tomato juices (see a recipe here). Top with mozzarella, or any other good melting cheese, and treat them like mini pizzas, or use them as little tacos/wraps and pile in whatever you fancy; Bourbon & Coke Beef Brisket with a dollop of soured cream would be delicious, or as I did for brunch, smashed avocado with chilli, coriander and radish. Although they're best eaten straight away, if you wrap them up in a tea towel and put them in an airtight container, they'll last for a few days. You can warm them back up in a dry frying pan. In a bowl, mix the flours, beer and salt until the dough just comes together. You want it to be moist but not too sticky. Add a dash more water or flour if needed. Knead the dough for a few minutes on a lightly floured surface, then split into 12 equal portions. Heat a large frying pan - medium/high - and drizzle in some olive oil. One at a time, roll out a piece of the dough so that it's 3mm thick and place into the hot pan. Fry for a minute or two, until the surface has started to blister up, then flip over an cook for another minute until golden. Pop on a plate covered loosely with a tea towel whilst you cook the rest, adding more olive oil to the pan when necessary.